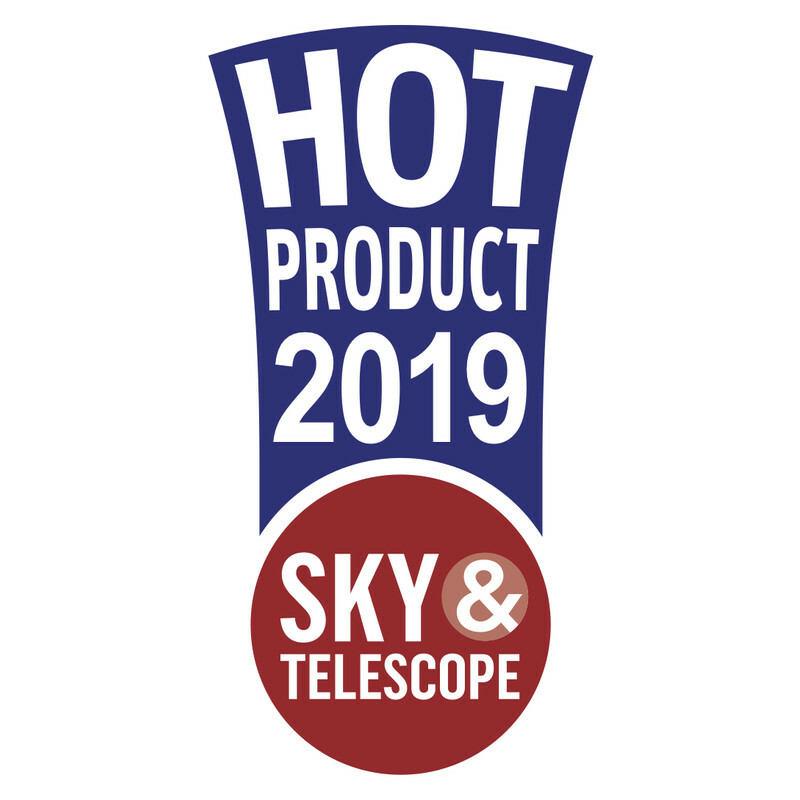 A high-quality, large-aperture telescope optimized in a very light and compact package for extreme portability! 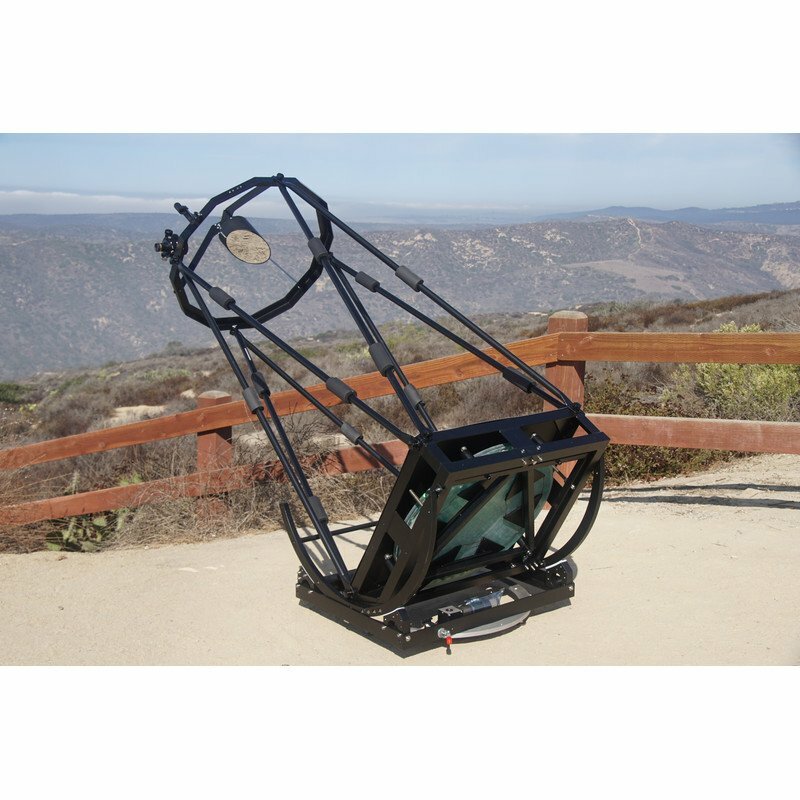 Hubble Optics UL24 is a serious telescope for a serious observer, yet still easily transportable to dark sky locations by one person. 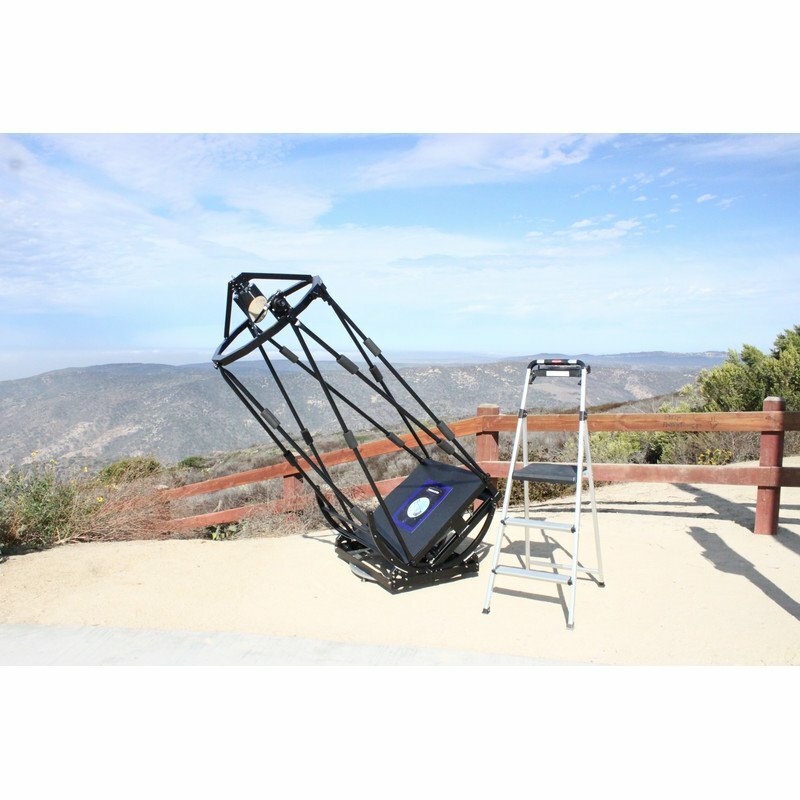 The UL24 not only delivers the premium optical experience you need to seriously explore our universe, but tipping the scales at only about 70 kgs it's one third of the weight of classical Dobsonian telescope and folded into a compact package that will fit in almost any car. 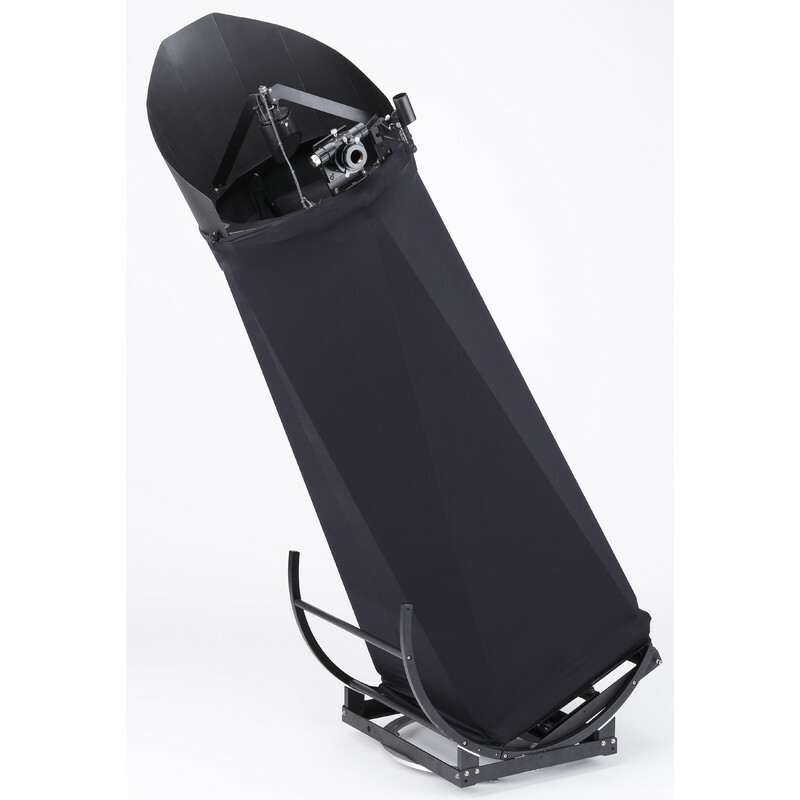 The UL24 is a perfect balance between a telescope with huge light-gathering capability and unbeatable portability. It will be the telescope that gets taken out of the garage or from the back of a car to be used frequently. It will provide stunning views of the heavens and a lifetime of observing enjoyment. The heaviest component of the UL24 is the primary mirror, which weighs in at about 30 kg, and the entire telescope is only about 70 kg, which is remarkably light for a 24-inch telescope. 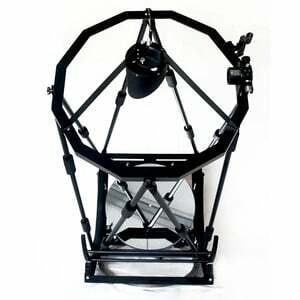 In addition, with its fast focal ratio mirror, the Hubble UL24 telescope has an eyepiece location is only about 77" from the ground when the UL24 is pointed at zenith. 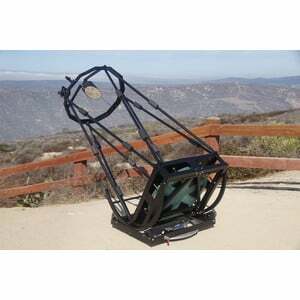 With the Hubble Optics UL24, the view will be simply spectacular all over the sky. The Hubble UL24 is a telescope that can provide a lifetime of satisfying observing experiences! Exclusive Sandwich Mirror Technology: Hubble optics sandwich mirror technology has been used to manufacture research-grade optical elements and proven by over a half dozen years of successful applications at research facilities such as NASA, California State Polytechnic University San Luis Obispo, for the US Army, and in amateur telescopes around the world. Hubble sandwich mirror’s open core and close back design not only allows air to circulate through the mirror, but also provide the maximum structure strength to allow a simpler mirror cell design. Why is thermal equilibrium so critical? 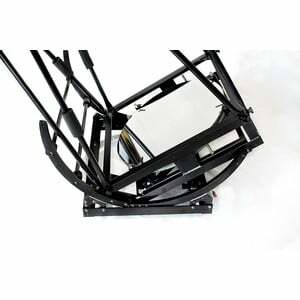 The main issue is "mirror seeing," the turbulence seen through the eyepiece of the telescope when the air above the mirror is different from the mirror itself. Since a sandwich mirror cools far more rapidly than a solid mirror of the same thickness, this major source of distortion is eliminated quickly, giving you sharp and stable views. 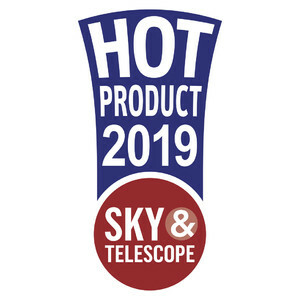 Semi-Enhanced Optical Coatings: The primary mirror is coated with the most recommended (by professionals) 92% Semi-Enhanced optical coatings to assure it collects as many (while scattering as little) photons as possible to focus it into a bright and contrast-rich image. The optimal 92% Semi-enhanced coating has an over-coating of precision controlled dielectric layer to maximize the reflectivity and provide excellent chemical and mechanical protection for the mirror coating. A 96% enhanced optical coating is applied on the secondary mirror. Engineered Mirror Support: The Dobson has an extensively modeled and optimized flotation system that provides more than adequate support for the sandwich mirror. 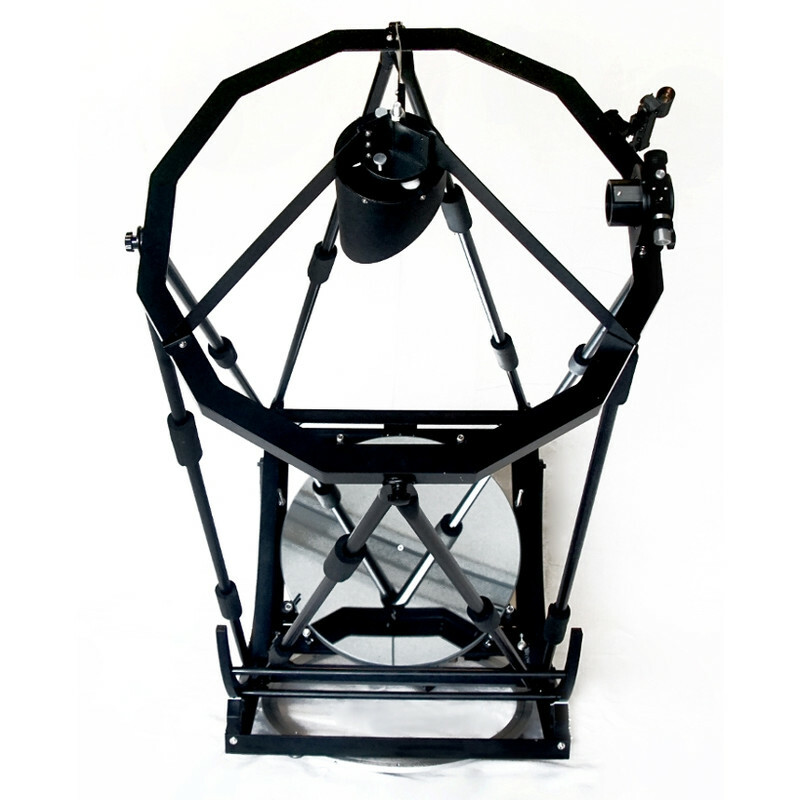 The three-point collimation system is completely independent from the sling lateral support. 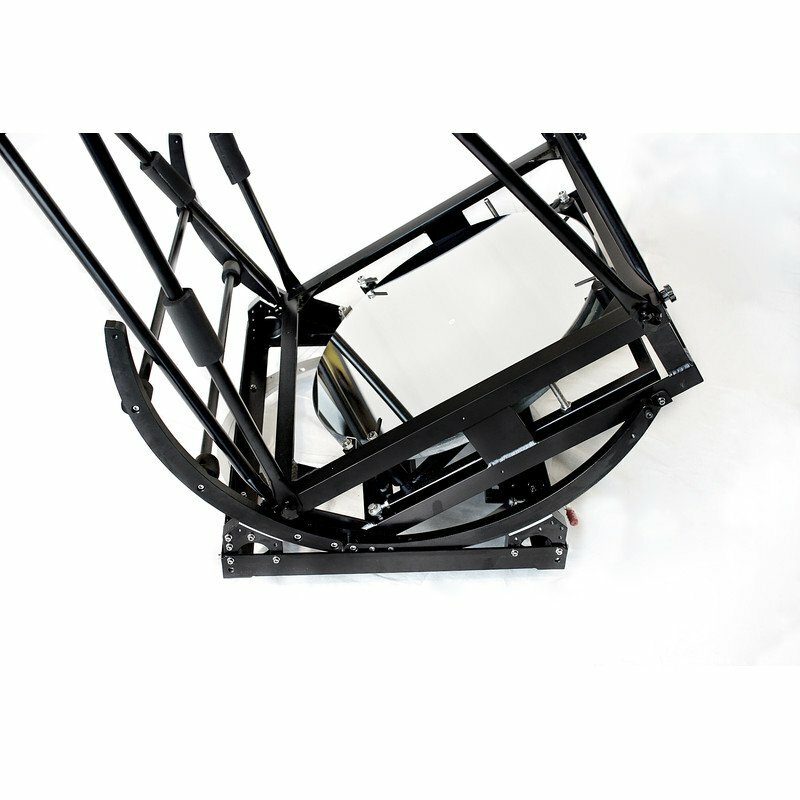 It will totally eliminate the often-found potato chip astigmatism introduced by sling belt when using the simple 3 pivoted bolts collimation system. In a simple pivoted bolts collimation system, the collimation of the primary mirror may cause the sling belt to pull the mirror axially on the mirror edge, bending the mirror to a potato-chip shape, causing annoying astigmatism. 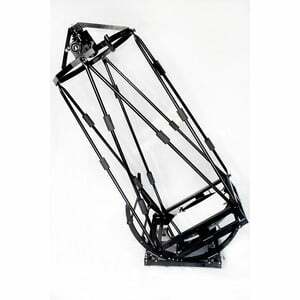 All Metal Construction: The mechanical structures have been extensively modeled via 3D CAD and advanced FEA to provide the optimal structure strength and stability. Machined with Computer Numerical Control (CNC) technology and hand fitted to assure proper fit and finish. 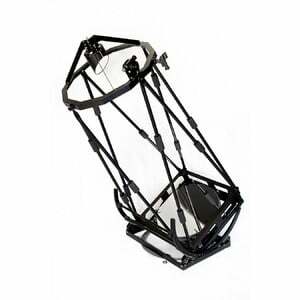 Super strong T6063-T3 aluminum alloy truss tubes, structure steel mirror cell and aluminum alloy OTA and mount structure. Completed with deluxe and environmentally friendly black powder coating, it is such a pleasure to look at, not to mention the enjoyment to look through. Linear Drive Crayford Focuser: It's a beautiful piece of precision machining that enhances the viewing experience as well as the overall impression of a premium quality instrument you'll have with this telescope. This focuser is robust! It is a zero-backlash "Crayford-style" design further enhanced with modern "linear bearings" meaning you get a rock-solid, super smooth focusing experience that can handle the weight of even the heaviest of modern eyepieces. 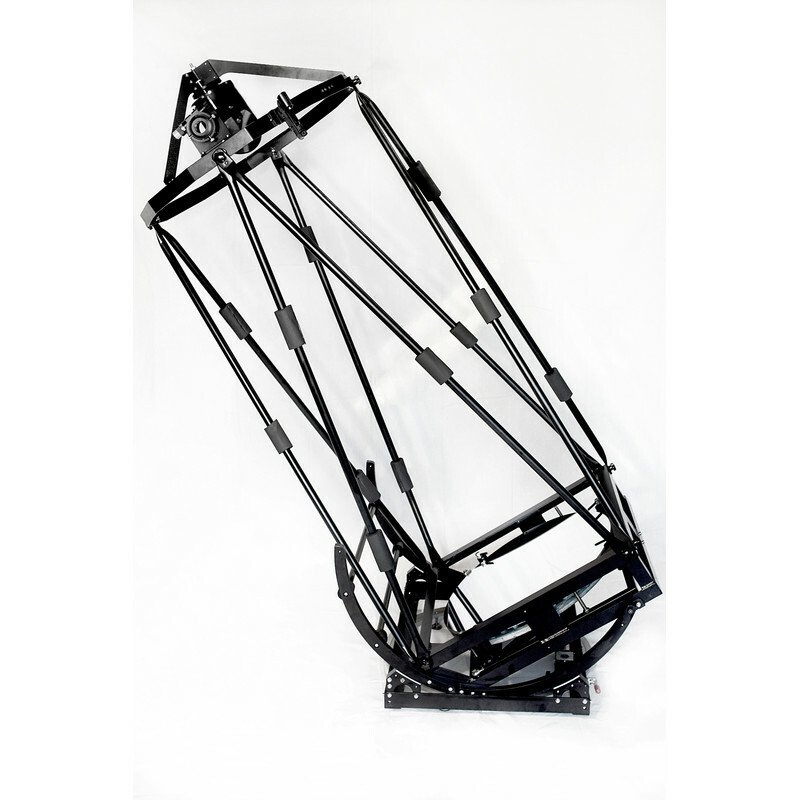 Its tension, the pressure on the drawtube, is preset to a very reasonable level, but adjustable to lock heavy equipment in place if desired. 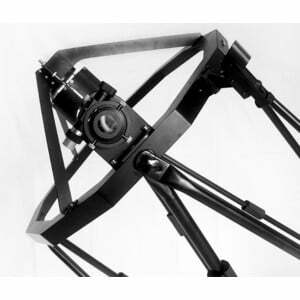 The smaller stainless steel focus control adjusts focus at a rate eight times finer than the larger focus wheels. This fine adjustment allows for critical focusing during high power visual observing or for imaging applications.